What could be more enjoyable than to spend exciting days hiking in the outdoors? It makes the tour even more fun if you are well equipped with the appropriate gear and correct walking clothes! Firstly: Hiking clothes has a functional aspect and should first of all be comfortable. Depending on what garment you speak about, each has different requirements. Then comes the visual aspect. Who would go on tour in hiking pants or a hiking jacket that they do not like and in which they do not feel comfortable in? 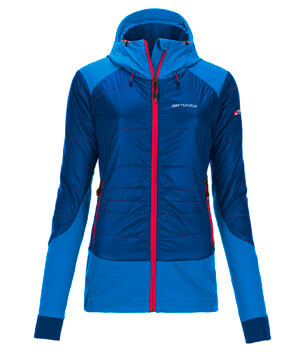 In the wide variety of clothes by Vaude, Mammut, Patagonia, Haglöfs and Bergans, a lot is on offer and both men and women alike can find something suitable. For tours with changing weather conditions, the layer system has been proven ideal. It starts with the functional underwear made of synthetic fibers or soft Merino underwear, carries on to the breathable hiking shirts and fleece pullover, and ends in hiking pants and functional jacket. Waterproof, windproof and breathable functional fibers ensure that the body stays protected and a pleasant, dry body sensation remains. What clothing should be packed on tour? The difficulty and the length of the hike as well as the terrain are as much considered as the clothing. For a casual day hike in southern climes or on low mountain hikes, the wearer packs different clothing into the walking backpack, than on multi-day hut tours and mountainous hikes in mountain terrain. Shortly: Different functional properties will stand in the foreground for summer hikers than for winter hikers or when hiking in possible freezing temperatures. 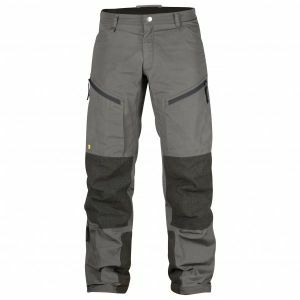 Walking trousers: Proper hiking pants are robust and easy to clean and sit comfortably on the body. The waistband is cut in such a manner, that the pants do not chafe under the backpack. With removable zip-off legs, the pants are quickly transformed into hiking shorts and this saves on carrying an additional garment. On multi-day hikes a waterproof hardshell pant is recommended, whilst on short day trips lightweight rain pants are enough as a reserve for emergencies. Walking jacket: Whether lightweight windbreaker jackets, elastic softshell jackets or real raincoats made of hardshell fabric are packed into your gear also depends on the requirements of the tour. The same applies here: Better safe than sorry! The moment a sudden change in weather occurs in the mountains, reliable protection becomes more than just a feel-good factor, as the waterproof jacket is the outermost layer! Down jacket: Fluctuating weather and changeable temperatures turn the warm mid layer into an important factor. Another thing that the local conditions decide, is whether thin fleece jackets or wool jackets are sufficient, or proper protection from the cold in the form of small stowable insulated jackets are required. Walking gloves: Since the head and the hands are not protected, it is recommended to wear warming beanies and hiking gloves that also work with walking sticks. Even in summer headgear is mandatory, where an airy cap protects against sunstroke and provides UV protection. A practical solution is a buff, which can turn into both a scarf and bandana. Decent footwear is needed for hiking. Walking boots as boots, or in the low-cut approach shoe style, ensure safe, reliable grip even in steep terrain with short climbs. On multi-day tours you quickly get a heavy camping backpack with tent, sleeping bag, mattress, cooking equipment, meals and more. A real hiking backpack therefore consists of a comfortable carry system with balanced load distribution. Lightweight daypacks convince with their practical space distribution, a good back ventilation and practical details such as a hydration system. Keeping hydrated with a hydration bladder during a hike is much easier. It also works for cold temperatures with an insulated hydration pack hose. Also very convenient and of great help are walking poles. They give additional support and relieve the joints. The usual small items that should not be missing in any walking gear or trekking gear, are items such as a decent knife or Multi tool, a first aid kit and a headlamp.